The look and feel of Arrow Trader 5 can be customized in many different ways. The first thing to look at is the navigation menu. like Widgets, Statistics, Outlist, Traffic, Backups, etc. Move your mouse cursor over this icon to access the menu controls. This list offers great control over the navigation menu on top of every page. text, icons, text + icons, depending on your personal preference. Via the the blue and gray pins, menu items can be added & removed from the navigation menu. The statistics page is your main working area. This page displays all traffic, trades and statistics. The statistics module supports a large amount of customizations via the submenus. each visually presenting different numbers and characteristics of your traffic. and several AT5 system 'trades'; specific entries to track certain types of traffic. The site totals table presents a very global overview of the statistics of a single specific website. if they have been linked together in your AT5 control panel. When you're just getting started, we suggest enabling at least the trades and charts modules. 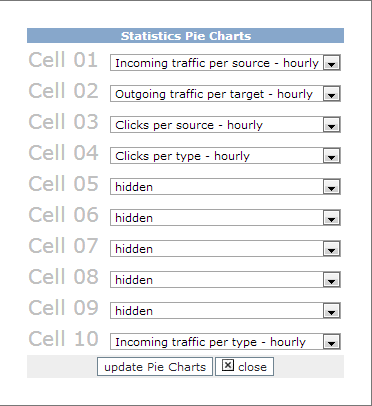 The charts form configures which pie charts are displayed in the charts table. The charts are available for both the time period of the past 60 minutes, and for the past 24 hours. These charts will assist you in quickly understanding what your main traffic sources are, and where it's being forwarded to. The columns form affects the visual presentation of the trades table. Otherwise the amount of data may become overwhelming. The column name right after the checkbox shows a short description of that column when the mouse cursor is hold over the title. The g icon - when enabled - instructs AT5 to show the growth or decline of this specific statistics relative to yesterdays statistics. The n icon - when enabled - instructs AT5 to show the network average of this specific statistics. This is especially useful for productivity type of statistics. The viusual style select lists allow you to set a background color, text color, text size and text style for each individual cell. Every row can be dragged to a different position. This will change the order in which columns are displayed in the trades table. To highlight certain trades, conditional styles can be applied to statistic cells. For example, you may wish to make cells red and bold when the productivity drops below a certain percentage. The outlist is a rotating list that contains most of your trades, in a specific order. Every minute the list is re-sorted, based on several algorithms. The higher a trade is listed in the outlist, the greater the chance it will receive traffic. Arrow Trader 5 tries to resort the list every minute in such a way to achieve the greatest growth. The outlist is an advanced module, and changes should be made one at a time, to be able to measure the effect properly. For more specific information, please refer to the library article about the outlist. The public registration page accepts new trades from webmasters. 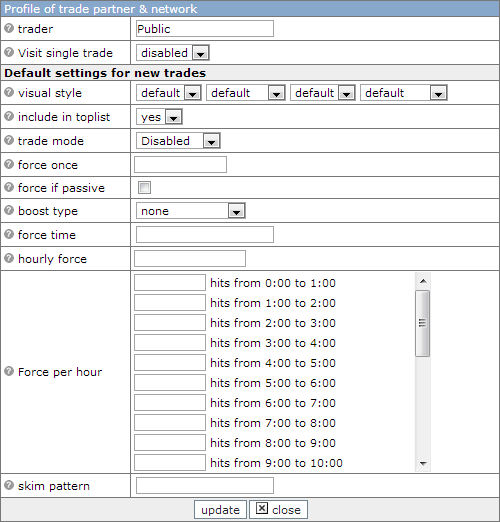 Arrow Trader 5 supports many settings and filters that will assist in accepting only the right type of trades. These settings are applied to all trades that register via the public registration page. We recommend restricting new trades untill they have been manually reviewed. Via menu - public, several controls assist in blocking and accepting trades. When enabled, a webmaster needs to complete Googles re-captcha (google.com/recaptcha). This way automatic submissions can be prevented. We strongly suggest that you enable this. 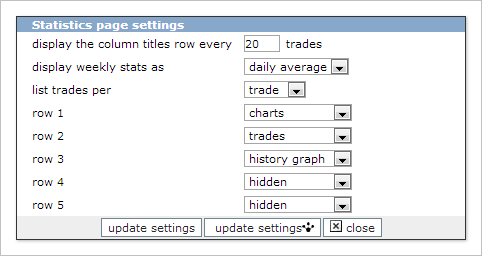 Wwhen enabled, newly registered trades are displayed in a seperate table in your statistics page. Again, we strongly suggest that you enable this.